Spice up Your Florida Beach Wedding with Sparklers! Congratulations on your engagement! We here at BuySparklers.com are so happy for you and would love to be involved in the planning of your South Florida wedding. Whether you are planning a destination wedding or if you call the sunshine state your home we want your special day to be one of infinite romance. From Palm Beach to the sandy Keys, the Sunshine State will be an enchanting setting for your wedding. The breezy beaches of the coast and the warm weather in Broward County make for the perfect setting for memories that will last a lifetime. 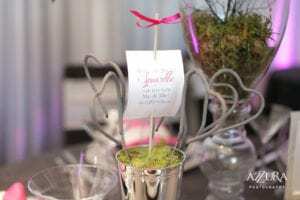 A hotel or an event planner in Pompano Beach or Fort Lauderdale is a great way to begin the plans for your ceremony. We have some great sources for inspiration for your wedding plans, from sparkler tutorials to venue recommendations. 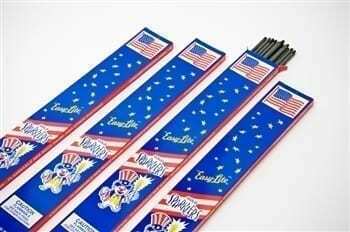 As you plan an outdoor wedding in South Florida consider incorporating our sparklers into the event. One of the loveliest places to use them is barefoot on the beach surrounded by your loved ones. Your Boca Raton wedding, whether on a private beach or a yacht club terrace, will be something truly special with our products! A sparkler send off from the reception will be the perfect finale to the event. It is a gorgeous, festive display with which to engage your guests. 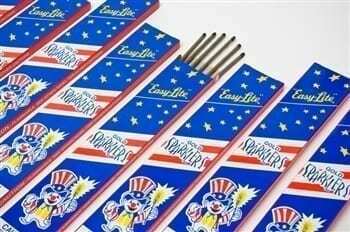 We offer sparklers of various lengths so you can choose your own burn time. 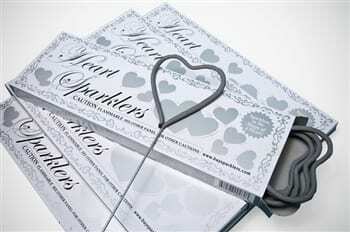 Additionally, our Gold Heart Wedding Sparklers add a romantic flare to your night. Include your photographer in planning your exit to ensure you capture the beautiful moment. You’ll want to relive this moment when all of your friends and family gather in a dazzling display of affection. To finish off the gesture, pause halfway through your walk to give each other a kiss! 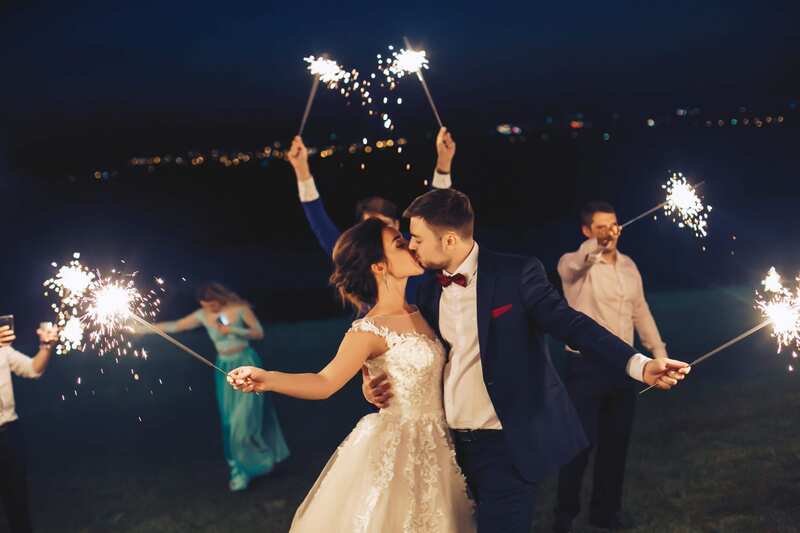 For more inspiration about how to incorporate sparklers into your dream wedding in Miami or Hollywood Beach, FL visit our website here or get in contact with us at info@buysparklers.com or (888) 990-8939. We will be happy to help!